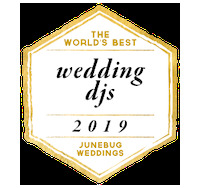 Award-winning DJ Ben delivers a lively mix of music, lighting design and state of the art sound that will get even the least enthusiastic dancers on their feet. As a classically-trained musician, he can also perform guitar, dobro, cello, banjo and ukulele for your ceremony & beyond. Together with Kat, he provides unique entertainment productions & designs. We do laid back, we do high energy, we do luxury - because this is about you two! We are here to help make an event that shares your story, celebrates you, and creates the best of memories.